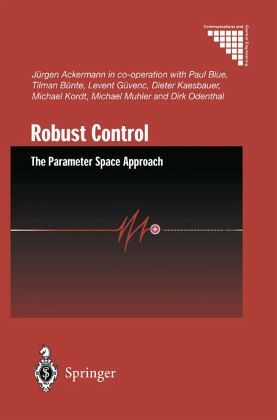 New results, fresh ideas and new applications in automotive and flight control systems are presented in this second edition of Robust Control . The book presents parametric methods and tools for the simultaneous design of several representative operating conditions and several design specifications in the time and frequency domains. It also covers methods for robustness analysis that guarantee the desired properties for all possible values of the plant uncertainty. A lot of practical application experience enters into the case studies of driver support systems that avoid skidding and rollover of cars, automatic car steering systems, flight controllers for unstable aircraft and engine-out controllers. The book also shows the historic roots of the methods, their limitations and research needs in robust control. Jürgen Ackermann studied Control Engineering under the guidance of Prof. Oppelt in Darmstadt, and Control Theory under the guidance of Prof. Jury in Berkeley, California. He is well known for his contributions to the theory of control systems, as treated in his books on sampled-data  and robust control systems . Perhaps his best known result is AckermannÂ¿s formula for pole placement . J. Ackermann has a long association with DLR, the German Aerospace Center in Oberpfaffenhofen, Germany, where he was director of the Institute of Robotics and Mechatronics from 1974 to his retirement in 2001. He has attracted to the institute and supported such well known members of the international control and dynamics community as G. Hirzinger, W. Kortüm, G. Grübel, R. Schwertassek, K. Well (now Stuttgart) and G. Kreisselmeier (now Kassel). Together with them he has initiated and guided many applied research projects which include robust autopilots and jet engine control systems for aircraft; trajectory optimization of aircraft, missiles and spacecraft; control of large flexible structures; robotics for space and manufacturing application, modelling and control of trains, maglev vehicles and automobiles. He has developed a general theory of robust control for steering of vehicles. It is based on robust triangular decoupling of steering of a point mass along a desired trajectory and automatic control of undesired vehicle rotations. J. Ackermann holds six patents for robust feedback control strategies to increase the safety of car driving [1-6]. He initiated an experimental program with BMW, which has shown spectacular safety advantages in road tests with side-wind and mu-split braking . The concept was transferred to flight control  where it resulted in a remarkable weight reduction. In both cases the advantages resulted from the fact, that an automatic control system can compensate strong disturbance torques faster than the driver or pilot. J. Ackermann was a Member of the IFAC Council (1990-1996), where he initiated the creation of a new Technical Committee on Automotive Control. He is a founding member of the European Union Control Association and was a member of the IEEE-CSS Board of Governors (1993-1995) and of the "Beirat" of GMR (the German IFAC-NMO). He served on the Editorial Boards of Automatica, IEEE Transactions on Automatic Control (as Associate Editor at Large), C-TAT, Robust and Nonlinear Control, Automatisierungstechnik and was Guest Editor for special issues on "Robust Control" and "Automotive Control". He was chairman of the IPC for the 1989 IEEE International Conference on Control and Applications (Jerusalem), and chaired an IEEE Award Committee, the IFAC Nichols medal committee and the Theory Committee of GMR. He was also a Member of the Senate of the DLR (1986-1998) and of the Advisory Board of the "Deutsches Museum" in Munich (1986-1998). From 1988 to 1995 he was elected chief reviewer for Control Engineering for the Deutsche Forschungsgemeinschaft. Presently he is chairman of the IFAC awards committee for the Nichols medal. J. Ackermann received the J. M. Boykow-Award (1970), the VDE Best Publication Award (1973), he is an Otto-Lilienthal-Fellow (1989) and an IEEE-Fellow (1992), he is recipient of the first Nichols medal of IFAC "for robust control design methods and their use to improve automobile safety" (1996). Also in 1996 he received the Bode Prize of IEEE. In 2005 he was appointed IFAC Fellow "for outstanding and extraordinary contributions to the field of automatic control and involvement in IFAC activities in the promotion of the field". He is adjunct professor at the Technical University Munich and has held visiting appointments at Urbana-Champaign, Canberra, Irvine, Berkeley and Stanford. He was invited for numerous plenary keynote lectures at international conferences [11-26]. This is the second edition of the previously published text Robust Control which appeared in 1993. The new edition represents a total revision of the previous text, resulting in a book that is easily readable and well organized. A large number of real world examples and a step by step introduction of the material make the text easily accessible. The more than 300 figures and the many discussed applications give the book a very intuitive and graphics oriented flavor. In summary, this book takes a refreshingly different look at the problem of robust control than most other texts. It provides an easy to follow coverage of the material and is largely self-contained. 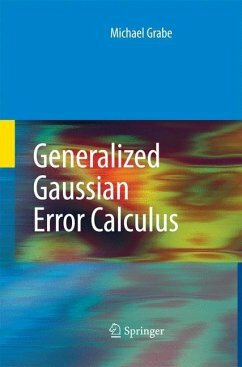 This book should be of significant interest to the automatic control community, and it is especially valuable for the practicing control engineer.